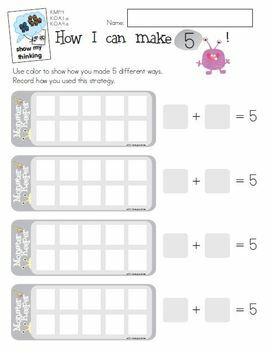 Need a fun way to practice beginning number concepts? With Monster Numbers, you're off to a great start. 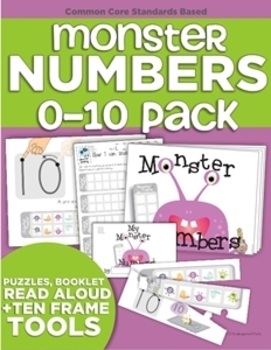 Students will learn how to count, number order, handwriting numerals and find ways to make numbers! 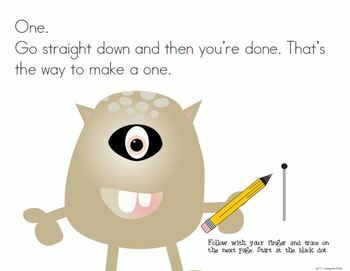 Using a creative, themed ten frame (a Monster Keeper) students will enjoy mastering numbers 1-10. - Audio recording (mp3) of this book ready to be burned onto a CD. This is a DIGITAL FILE. No physical product will be mailed to you. You'll receive a link to an INSTANT DOWNLOAD in both your order confirmation email and under your "Purchases" dashboard. This file is NOT EDITABLE. Custom edits and the original files in .cdr format are not available at this time. Please send a personal message if you find a typo or have a suggestion for a future product update. Updates are FREE and available from your dashboard. Are you already a follower? If not, start today! You'll be the first to hear of NEW products so you can SAVE 25% off the first 24 hours a product becomes available. Follow Me Now! In a nutshell - It's yours to store privately and use personally. - One license purchase allows you access to the file for use in your own personal classroom. - You can download and store the purchased digital file (and revisions downloaded from your dashboard) onto a computer(s), device (s) or cloud-based account(s) to which only you can access the product (Private). - Copyrighted material (purchased file and all revisions) may not be uploaded to a blog, website, forum or cloud-based account where others can access it (Shared/Public Settings). - K.CC.3.a Recognize numbers from 0-10. - K.CC.3.b Print numbers from 0-9 when prompted. - K.CC.4.a Count objects by touching them singularly while saying the number name. 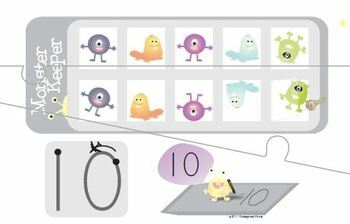 - K.CC.4.b-1 Recognize that the last number named tells the number of objects counted. - K.CC.4.c Recognize that each successive number name refers to a quantity that is one larger. - K.MP.4. Model with mathematics. - K.OA.1.a Represent addition with objects, fingers, and sounds to identify the meaning of addition as putting together and adding to. - K.OA.1.c Explain orally addition as putting together and adding -to. - K.OA.4.a State the number that makes 5 when added to any given number 1-4 with objects.